Empire: You've been reworking the scores for an orchestra to play live with the movies, most recently The Fellowship Of The Ring at the Royal Albert Hall. What was the origin of that idea? HS: As I was editing the complete recordings I did over the last three years, I realised I'd not heard this piece played in concert. I had the idea of doing it to a projection of the film since I'd done it before, with Naked Lunch. I then assembled the score and worked with conductor Ludwig Wicki. HS: I know from Ludwig that the tricky part is the synchronisation. There's no audio guide for the conductor other thatn the sound of the film, and he does it with visual references with incredible precision. It's an interesting relationship; it's like a heightened reality. Music never sounds better that seen with the imagery from the film. And live music is exciting - you can feel the energy of 220 musicians playing while you're watching this incredible film. It's the best of both worlds. Empire: Have you started work on The Hobbit? HS: We've thought about making that film for a long time so it's been in our consciousness. I like to do a lot of reading and research just to mentally put myself into Middle-earth so I can create new music from a sincere part of my being. It's just such a wonderful world to be in, Middle-earth. Empire: So does this feel like new territory for you? 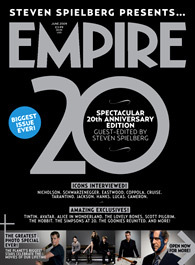 To pick up the full issue of Empire--which really is worth the read--visit their website or your local newsstand. Krakow's official webpage begins "Welcome to Krakow, a city wrapped in legend, where time flows differently, and where every moment becomes a moment of history." Who's to resist that Middle-earth-like enticement? So I'm happy to announce I'll be joining the festivities when The Two Towers Live plays in Poland on May 23! I don't know how many readers here are planning to attend, but if schedule allows, I'll attempt another Book Preview. However, my agenda is a little more packed this time. I'm also tentatively scheduled to be part of an event with composer Tan Dun, and will be stopping by RMF Classic Radio for a chat. But I'll see what I can do. The Hollywood Reporter has a new piece up wherein Danny Elfman, Howard Shore, Terence Blanchard, Alexandre Desplat, Marc Shaiman and Jan Kaczmarek discuss some of their favorite scores. Click here to begin the four-page article. It's an interesting collection... and it also provides Howard a fantastic avatar should he ever choose to post here. I'm horrifyingly late in posting this and I only hope Eorl will forgive the tardiness. Eorl, along with a host of others, was part of the London Book Preview a week or two back. He's assembled a few thoughts which have been posted here in German. Fortunately, he was also kind enough to send an English translation. Thus, I give you his preview review. Thanks, Eorl! On 14 and 15 April 2009, Lord Of The Rings fans from all around the world gathered in London in order to witness the THE FELLWOSHIP OF THE RING – THE COMPLETE SCORE LIVE TO PICTURE. Doug Adams, author of the soon-to-be-released book THE MUSIC OF THE LORD OF THE RINGS FILMS granted a grand insight into his book and the RARITIES ARCHIVES. Herr-der-ringe-film.de has drawn much exclusive news from him. When his book will be released in October of this year, Doug Adams has put a total of nearly 8 years of work into the project. It’s a job that pays well. “When I learned that Peter Jackson and his team have been working on their movie since 1997 and did not finish it before 2004, I just thought: How in the world can anyone be engaged into a project for such an amount of time AND still having the power to keep on working? – Well, now I know”, Doug remembers with a smile. 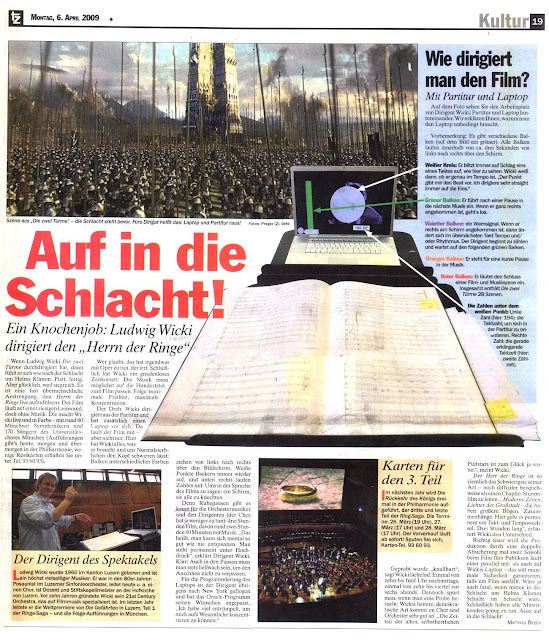 When THE TWO TOWERS were ready to hit cinemas all around the world, Doug was still working for the American movie music journal Filmscores Monthly. 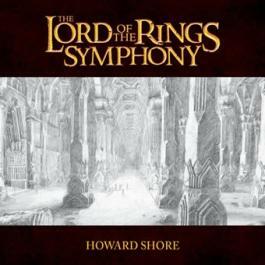 During an interview with Howard Shore and his following in-depth research on the music, he found his love for Shore’s scores for Middle-earth. When THE FELLWOSHIP OF THE RING – THE COMPLETE RECORDINGS were released in December of 2005, the liner notes accompanying the CD set stated that his book was due to hit the market in the following year. Yet, nothing happened – until fall 2008. Disillusioning news made a circuit that the book had been delayed for another year. Fans were less than thrilled. Yet, Doug knew how to allay their wrath: “Thus we have opened another door for some great opportunities. Now we can tie the book’s release to another great publishment.” The book is going to be release alongside with the final Lord Of The Rings audio set THE RARITIES ARCHIVES (scroll down for more info). The package will be released in many different variants. What can fans expect after all? The book starts off with a breath-taking drawing by Tolkien-illustrator John Howe, called “Melkor’s Theme”. In his drawing, Howe depicts the music of the Ainur. It is the beginning of the Silmarillion and the beginning of Tolkien’s universe that was created of music. In his opus Howe depicts Melkor’s face for the first time ever. A 1.000 word long preface written by Fran Walsh follows. She states that Peter and her have used Howard’s music from earlier movies for mock-ups and previews even before Shore entered the project. Yet, they were not even aware of that music being actually written by Howard Shore. Anyway, they found that is was the style they wished for and hired Howard without further ado. Au naturel she sends him flowers as well: Howard was the best thing that has ever happened to the project. She really appreciates his work and intense dedication into the material. From the reader’s point of view it feels great to have her saying these things to our most cherished composer. In the course of the following pages, Doug Adams covers the 80+ themes that were developed by Shore. “Honestly, I have never counted them all”, Shore admits during the London Pre-Concert-Lecture. 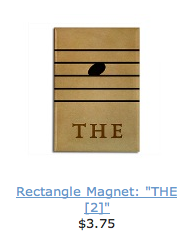 “I write music intuitively. In addition to that I have to confess that I have never been a proper academic.” Doug has picked Shore’s score to pieces and reveals connections between the themes. He also analyzes the tracks of the Complete Recordings and related them to his preceding theme analysis. Reports on the making of the music and the recoding sessions, further info on instruments and instrumentalists must be included as well. 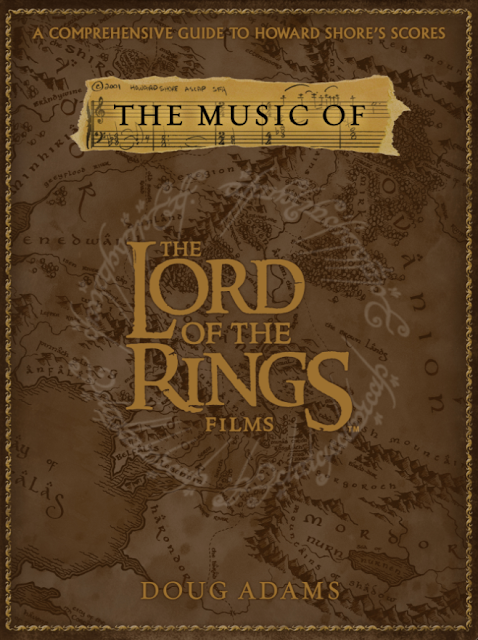 Hence, this book is something very special that will wow LOTR fans as well as academics and admirers of film music. “Even a lover of Wagner’s music will have quite some fun with Doug Adam’s book”, said an awestruck concert-goer. “This is something that has never been done before. It really is amazing being part of this all. We are having some big plans that hopefully will work for us in October”, Doug Adams begs, yet confidently. Timdalf's transcription now in comments. More news soon. RCMH website launch is imminent; book layout first draft due in from publishers early next month. Adequate sleep becoming increasingly unlikely... somehow, I don't mind. Thank you so much to everyone that attended! This was genuinely an experience like none other. Here are the Officially Unofficial Book Preview: London Edition details you've been waiting for! First Edition: Tuesday, April 14 12:30 p.m. to (approx.) 1:30 p.m.
Second Edition: Wednesday, April 15 3:30 p.m. to (approx.) 4:30 p.m. 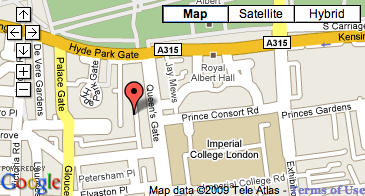 If you are unavailable at the times listed above, I'll be around RAH following the performances each evening. Please come flag me down. If both Tuesday and Wednesday are bad for you in their entirety, email me. 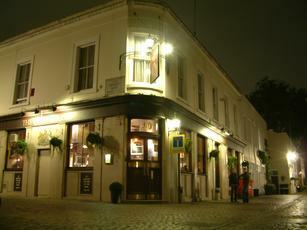 I'll arrive in London Monday morning, and will probably venture out to the Queens Arms for a bleary-eyed bite or a blearier-eyed pint at some point during the day. Provided I can easily check messages from the hotel--and can stay awake long enough to be of any use--I'm happy to entertain a guest or two if they'll tolerate my jet lag. I hope many of you will attend! I'll see if I can even summon up a rare surprise or two for you as well! That's it for now. Happy Easter and up, up and away! I'm still stateside, but will be flying out this coming weekend. I know a number of you are planning to be in attendance at the London FOTR Live performances. Consider this early warning: I want your pictures! I want you pictures, your videos, your scanned autographs, your reviews... everything! There's going to be some increased web activity once I get back. I'll explain more when I can. But we're looking for fan-generated content. And there are no fans greater than yourselves! So plan on flooding my inbox, ok? The producers of The Lord of the Rings: The Fellowship of the Ring - Live to Projection are pleased to announce that two free Pre-concert Discussions will precede the London premieres of this epic work. Composer Howard Shore and Doug Adams (author of the upcoming book The Music of the Lord of the Rings Films) will discuss Shore’s work on The Lord of the Rings, in an engaging look at the project’s history and its myriad of compositional details. This free event is open to all ticket holders for that evening’s performance. 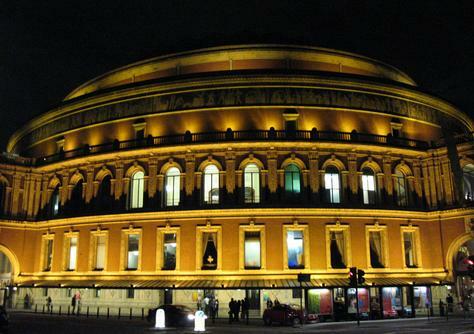 The Pre-concert Discussions will be held in Royal Albert Hall’s main auditorium each evening from 6:15 to 6:45 p.m., before the 7:30 p.m. performance. 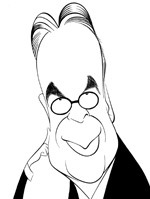 Howard Shore will also be available to greet fans at a CD signing after the performance. The Royal Albert Hall performances bring together The Lord of the Rings’ original performers (London Philharmonic, London Voices and the London Oratory School Schola boys chorus) to perform Howard Shore’s grand score. 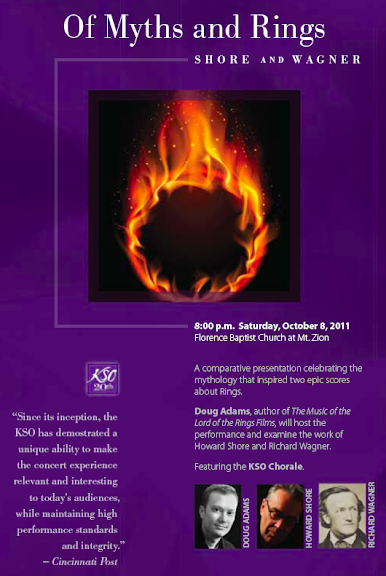 Now come hear how it all started in a discussion with the composer, himself! United States-based Rings fans, don’t be left out! You will be able to catch Howard Shore and Doug Adams in conversation before The Lord of the Rings: The Fellowship of the Ring - Live to Projection at New York City’s famed Radio City Music Hall on October 9 and 10, 2009!